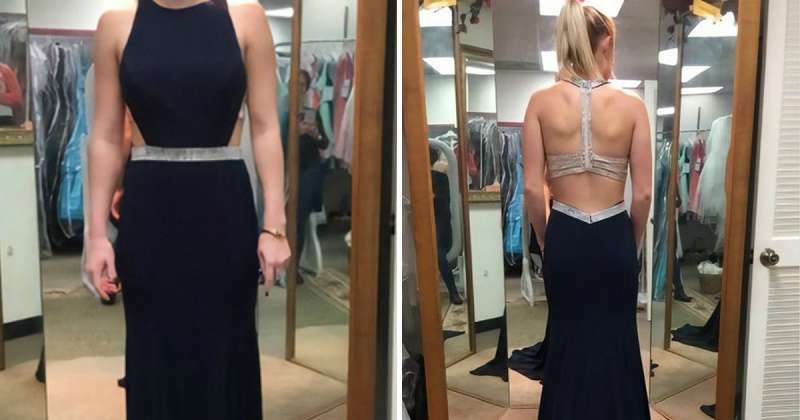 Girl Accidentally Sent A Photo Of Her Dress To The Wrong Number. As A Result, It Saved The Life Of A Stranger’s Son! Do you believe that accidents don’t happen in vain? Even if you don’t, reading this story may definitely change your mind. Just by sending a photo to the wrong number, a girl launched a whole chain of events. Let’s find out what she managed to achieve! Sydney Wellton was looking for an evening dress for her prom. She decided to share a photo in a dressing room with her friend to ask for his advice. However, the schoolgirl accidentally sent a picture to the wrong number. The addressee turned out to be a man named Tony Wood. No one could ever predict the events that would ensue from this simple mistake. I believe this message was intended for someone else. My wife isn’t home, so I couldn't get her opinion, but the kids and I think you look stunning in your dress! You should definitely go with that one! 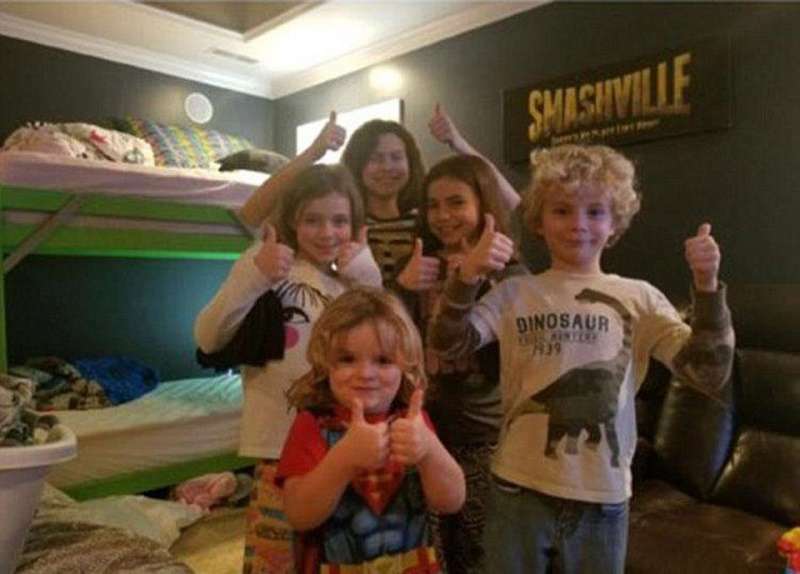 At the same time, he attached the photos of his five children, who approvingly gave her the thumbs-up. Sydney decided to tell this funny story to her friend. But it didn’t end here. She chose to share this hilarious moment with her followers on Twitter. Not surprisingly, this post instantly became an internet sensation. Tony saw this tweet on the web and attached a photo of his sixth son to him, who was giving his thumb up. In the comments, he explained why he wasn't there when the first picture was taken. It turned out that little Kaizler was in the hospital with his mother, as he was undergoing chemotherapy. In 2015, the boy was diagnosed with leukemia. His father was working hard to feed his family and help Kaizler. Soon, the story of the dress became so popular, that internet users created a fundraising page, to which 600 people donated money to the family, collecting $15,000. The head of the family thanked everyone who participated. He couldn’t have even imagined that this would happen after he merely replied to a stranger’s message. Remember, even the smallest act can change this world for another. Don’t avoid doing nice things, and you will be rewarded. By the way, the girl went to the prom in exactly this dress. If you lost faith in humanity and considered the internet to be a sheer waste of time, this story must have changed your world perception. Share this wonderful moment with your friends – show them how important it is to stay cheerful!